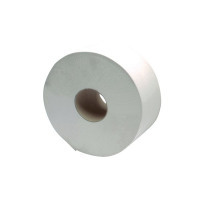 Ideal for busy, high traffic washrooms, this 2Work jumbo toilet roll is 410 metres long, meaning it requires less frequent replacing. The highly absorbent 2-ply paper is economical and 85% recycled for a more environmentally friendly solution. Designed to be used in conjunction with the 2Work Jumbo Toilet Roll Dispenser, which hygienically encloses the roll to prevent contamination. 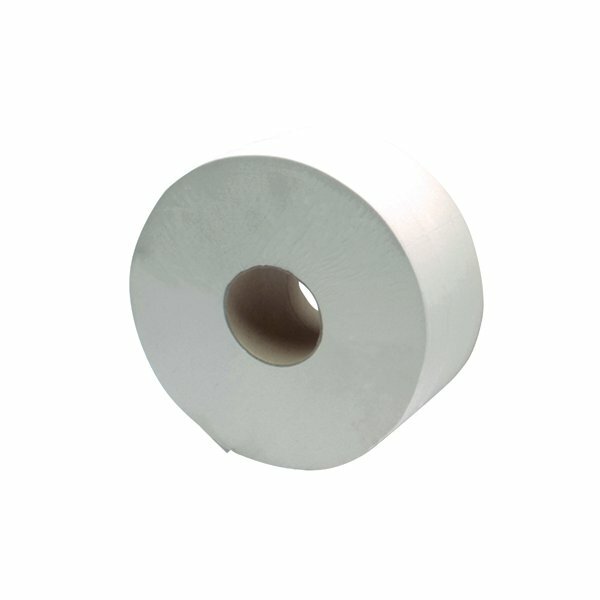 This pack contains 6 white rolls with 60mm cores.